The European Vision Institute congratulates Prof. Frank Schaeffel to this prestigious award. As to Frank Schaeffel’s contribution to the research field of refractive development and myopia there are few who can claim to have made such an influence on this research community over the last 30 years. Frank Schaeffel’s classic paper regarding “ accommodation, refractive error and eye growth in chickens” in 1998 produced a paradigm shift in our understanding of regulation of refractive errors and ocular growth. 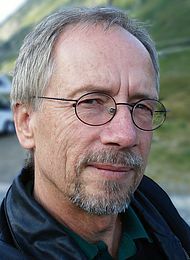 While this is one of the most cited papers in the area (2nd only to Nobel Laureate Torsten Wiesel, who with Elio Raviola published an important early paper in 1977 on the monkey model of myopia), it is Frank Schaeffel’s continued and numerous contributions to the research field of myopia over the last 25 years, which marks him out for special recognition. He has made major additional contributions to our understanding of how the eye regulates its growth, both in the physiological aspects of vision and also in the biochemical and molecular pathways in myopia. His expansive knowledge across both traditional biological foundations of the eye and his more recent work on molecular pathways of signals causing or preventing myopia is inspiring to many in the field. It is also important to note that this research has significant public health implications and it is imperative that we gain a better understanding of the etiology of myopia and that we develop new treatments strategies to reduce myopia. Frank Schaeffels’ research is at the forefront of these efforts. He is a true renaissance man in science in the way he is driven by fundamental questions in vision, not just regarding myopia development, but also in the areas of ocular accommodation, stereopsis and evolution of general visual mechanisms. The European Vision Award Lecture 2012 will be given by Prof. Schaeffel at the EVER 2012 Conference, Nice, France - October 11th, 2012 at 15:05h in room Euterpe. Title: "From chickens to humans - learning about the puzzles of myopia"
Abstract: After it was found that the growing vertebrate eye uses the focus of the retinal image to fine-tune its axial length to the focal length of the optics, it seemed as if the solution of the problem of myopia was in close reach. While a lot was learned about the fascinating details of biological mechanisms coordinating eye growth by vision from animal experiments, it is still a puzzle why eyes of children start to deviate from the correct path and become too long. Currently, a major challenge is to find out which details of visual experience in kids may have a similar effect as wearing a negative lens or a diffuser - since these are the two treatments that induce axial myopia in animal models. The talk will also review some current attempts to slow down the progression of myopia once it had already started. Question 1: What was your first reaction, when you realized that you are the winner of the European Vision Award 2012? Frank Schaeffel: I was very happy that our old experiment with the chickens wearing leather hoods and spectacle lenses, together with Adrian Glasser and Howard Howland in 1987, was considered important progress in Vision Research. The lens treatment paradigm became one of the basic tools in myopia research in general and answered many questions - but, as is typical for nature, also raised as many. Frank Schaeffel: After my PhD work on the visual system of Drosophila in Freiburg, I was a bit uncertain what to do next. I decided finally to do something that nobody took serious, namely to study myopia experimentally. A well-known reviewer from Freiburg (he knows what I am talking about) supported my unprofessional application to the DFG (I still feel embarrassed when I read it) and Howard Howland from Cornell University was willing to start something "crazy" - namely rasing chicks with spectacle lenses. My take home message of this part of my career - if there is any chance, better start with something that you are really interested in rather than going on with a project that just keeps you going. At the end, the path of career is determined by a lot of random factors. Frank Schaeffel: We hope that we will understand the tricks of myopia further such that we can make good suggestions as to how to slow it down and delay its onset. We also want to understand biological mechanisms of visual control of eye growth much better, including the optical and image processing aspects, and the biochemical signalling. We also would like to know more about the reasons for the retinal degenerations associated with high myopia in half of the highly myopic people. Question 4: What is your personal strategy to promote young promising scientists? Frank Schaeffel: Excite them about the miracles of Vision (and Myopia), by face to face discussions, curricular lectures and practicals (our major source of good students). Send them to meetings when the results become publishable. Put them as first authors on the papers when they did the experiments and wrote a preliminary draft version of the paper. Try to generate a good lab atmosphere to prevent that energy is lost in conflicts. Get international students to make the lab "international" which trains the language capabilities and makes things more interesting. Question 5: The fairy godmother gives you three wishes for free. Would you tell us these three wishes? Frank Schaeffel: I will only tell about my work-related wishes: I would like to understand myopia to a level that we can offer more rational treatment strategies - some more hints from "fairy godmother" would be appreciated. To this end I wish that future grant applications will be successful and that the Tuebingen environment (and our Ophthalmic Research Institute) will remain as research supportive as it was in the past.